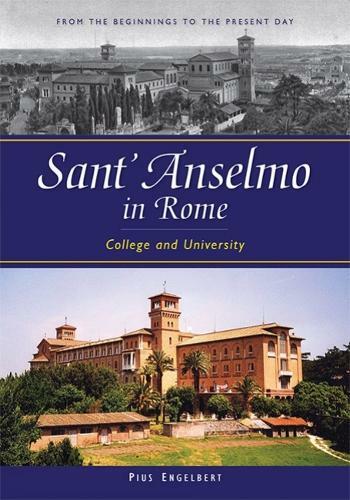 Sant'Anselmo in Rome was founded in 1888 by Pope Leo XIII for the training of Benedictines from all over the world in philosophy and theology. To this day, Sant'Anselmo is characterized by the interplay between the Benedictine College and the university entrusted to it, the Pontificio Ateneo di Sant'Anselmo, which for decades has also welcomed non-Benedictine students. For well over a century Sant'Anselmo has had a strong influence on Benedictine monasteries in every continent while providing a lasting service to the Universal Church through the pursuit of academic liturgical and theological studies. What were the burning issues and events in the history of Sant'Anselmo? What was the guiding spirit among professors and students in the different periods of Sant'Anselmo's existence? How did one live in the College? These are just a few of the questions addressed by Abbot Pius Engelbert's history of the College and University. "And Sant'Anselmo has in fact become the central place of Benedictine studies and is today a place for dialogue with the modern world. Over the past one hundred years, about two-thirds of all abbots studied there. Sant'Anselmo has become a unifying element for the Benedictine Order as a whole and all the more important today when Benedictines are present all over the world."